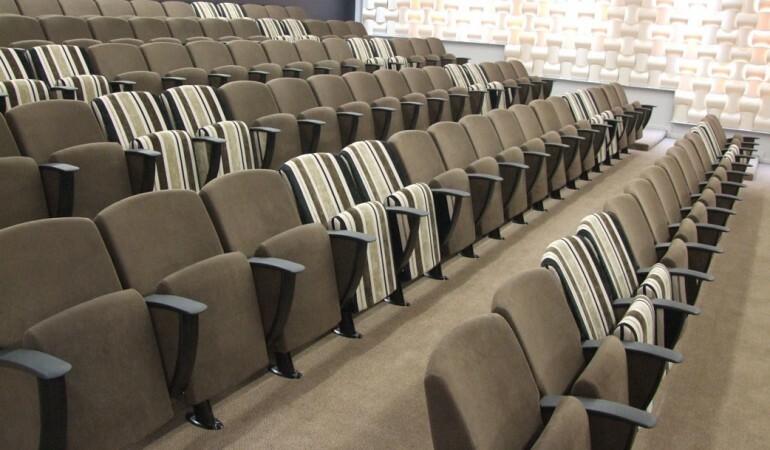 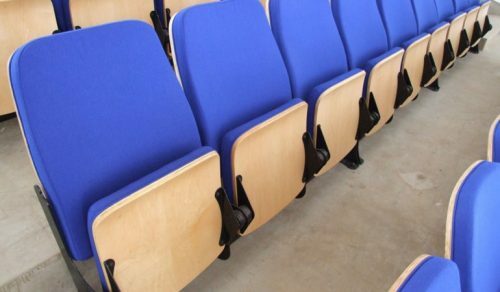 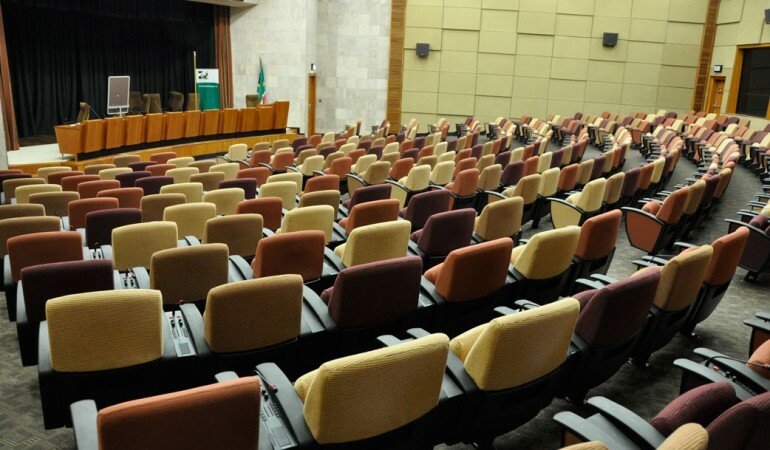 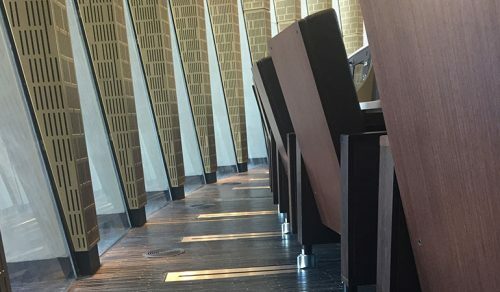 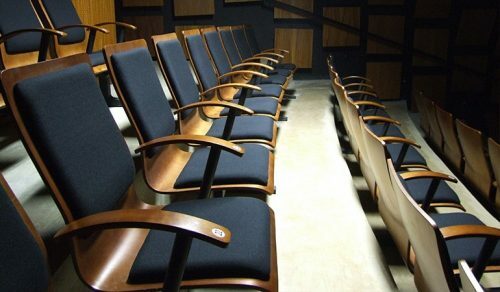 Premium auditorium chair, SABS Design award winner. 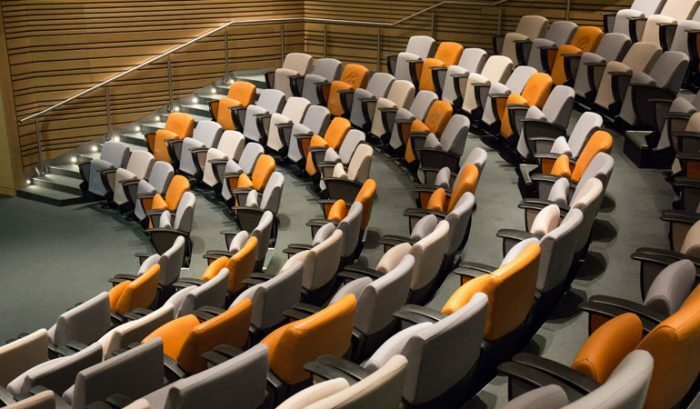 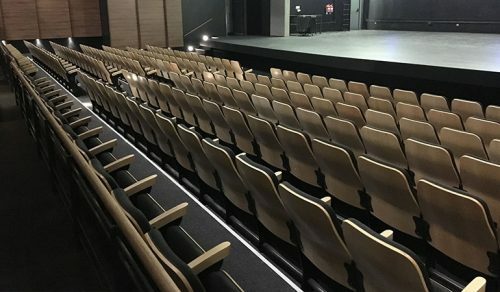 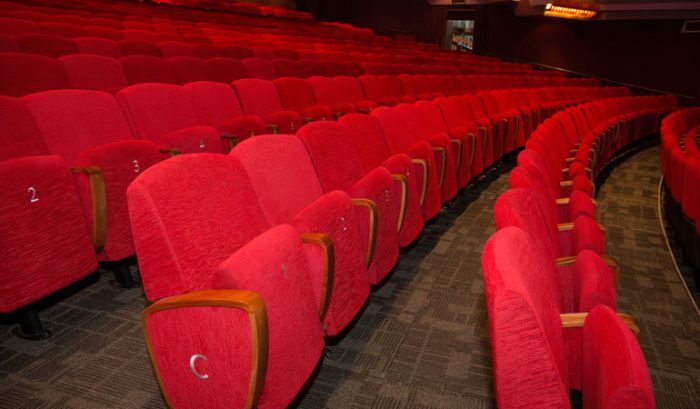 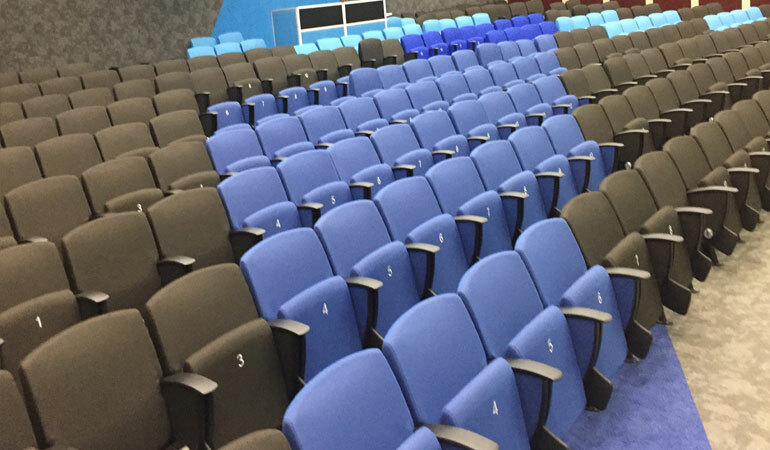 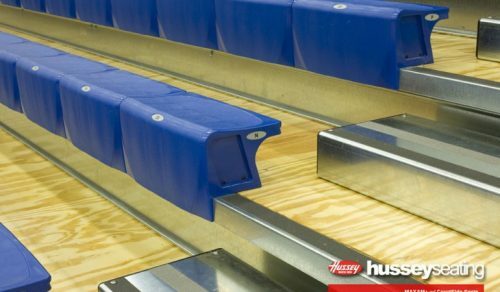 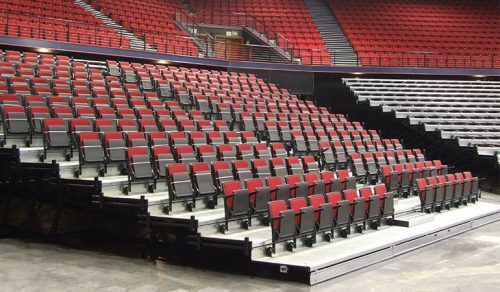 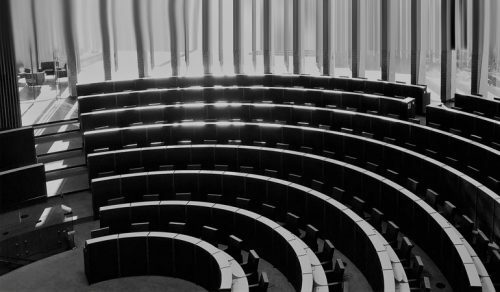 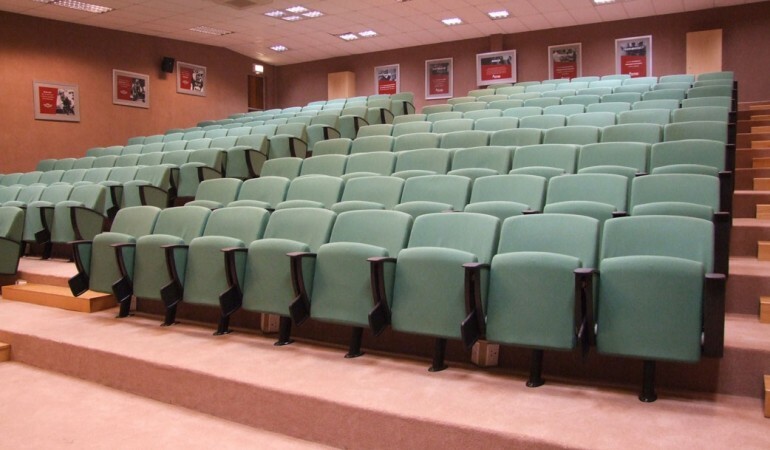 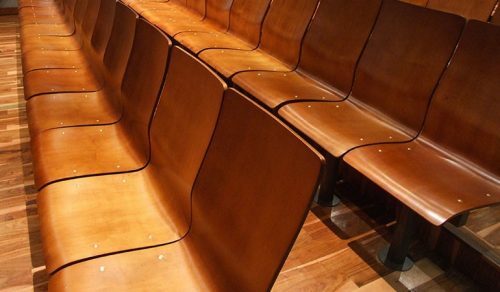 A proven winner in the corporate auditorium and theatre environments. 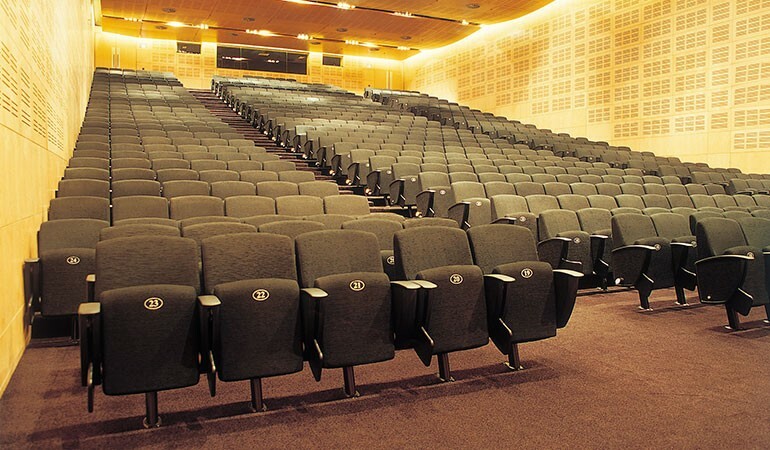 SABS tested for structural and acoustic properties. Available in fabric of your choice, with accessories including fold away writing tablet, media box, wooden arms and wooden acoustic panels.